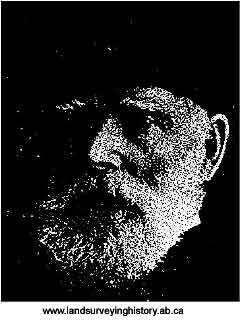 Robert Watt Lendrum was the fourth child of William Lendrum and Mary Watt. He was born in Fermanagh, Ireland on July 24, 1834. His family left Ireland in 1849 to come to Ottawa, where he worked with his father, who was a civil engineer. Robert was an Anglican and married Ella Brock (born October 22, 1849) in Hawksbury, Ontario on November 24, 1866. 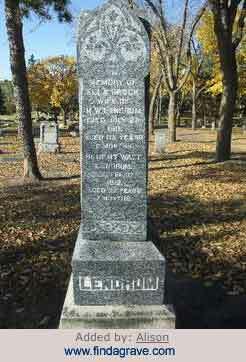 Lendrum moved to Edmonton in 1892 to engage in farming, as there was little survey work. His farm property now makes up the Lendrum Place neighbourhood of Edmonton. 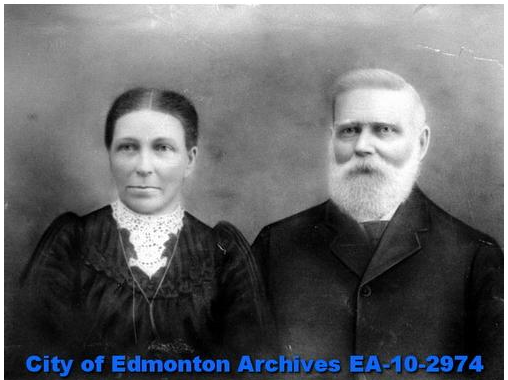 About 1896 he left the farm to engage in survey work for the government around Edmonton. He was still surveying, when he slipped on a sidewalk, resulting in a fractured hip, from which he died shortly afterwards on February 27, 1912. His wife had died on July 25, 1911 and they are both buried at Mount Pleasant Cemetery in Edmonton.